I put together an article series called SQL for Data Analysis – Tutorial for Beginners with eight articles. By reading it, you can learn SQL in a very practical and fun way. Let me promote my new SQL online course first! Just like in Excel, you can use different functions in SQL. These include: COUNT (for counting elements), SUM (for summarizing integers), AVG (for calculating mean), MAX (for finding the greatest value), MIN (for finding the smallest value), and so on… I guess I don’t have to emphasize how important these are. 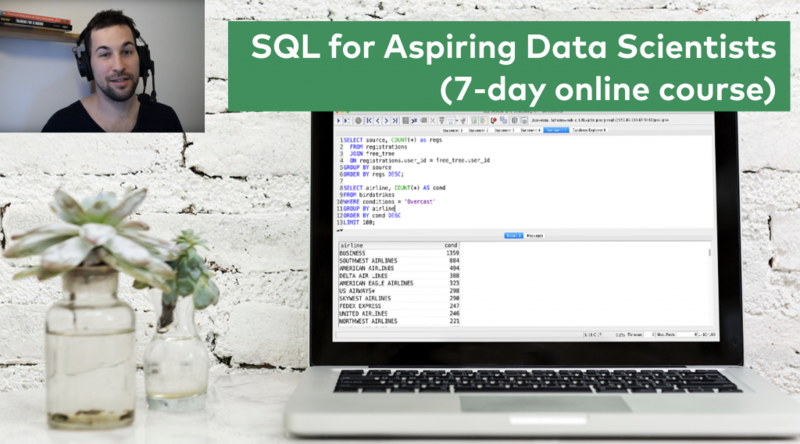 Learning SQL for Data Analysis definitely pays off quickly: you will be much more efficient with your data-related tasks and you will get easier access to the business data you want to work with! I hope these articles will help you to learn and understand everything! If you have any questions or feedback, let me know in the comment sections below the articles. Check the Python and the bash tutorials, too!